With the boating season coming to a close, now is the perfect time to plan for boat storage. You cannot just pull the boat from the water and place it into a storage facility. Long-term boat storage can be hard on a boat, so you need to be vigilant when preparing for the winter storage season to make sure you do not collect any damage. 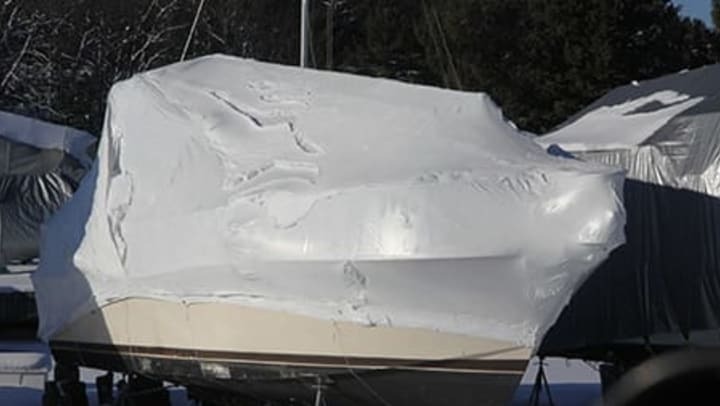 Here are some tips to help you get your boat ready for winter storage. One of the first things you should do is change the oil. Even if you changed the oil recently, you should change it again prior to storage. If you used your boat between oil changes, there is a chance some water got into the oil. The water in the oil can lead to corrosion in the engine, particularly if the boat sits in a storage facility. When you change the oil, also change the filter. Before you add new oil, be sure to flush the engine to remove any remnants of water. Next, you need to drain the coolant from the boat. Flush the system with water to ensure the coolant is gone completely, and then refill the boat with antifreeze. Before you add the antifreeze, be sure to pay attention to the instructions for dilution. Antifreeze is necessary to ensure none of the vulnerable areas of the engine freeze. This step also helps prevent engine corrosion. The next step is to spray the engine with engine fogging oil. The goal of fogging oil is to protect the moving parts of the engine during the cold weather. To add the fogging oil, you need to crank the boat, but do not let it turn over completely. While the engine attempts to turn over, spray the engine with the fogging oil. It may take several starts to get the engine sprayed thoroughly. You want to make sure the fogging oil gets into the spark plug holes or the carburetor, depending on the type of boat you have. You can find the necessary information in your owner's manual. You also need to make sure the control mechanism of the boat is safe and will move efficiently once you are ready to use your boat next year. To ensure the mechanism is safe, you should apply waterproof grease to the joints and other steering components. Before you store the boat, protect the battery so you can start the boat easily next year. Disconnecting the battery will prevent it from draining all winter. Take the battery home and charge it periodically throughout the winter to ensure you have a good connection when you are ready to take the boat out of storage. If you do not own a battery charger, you can take the battery to an auto supply store to charge. Though it sounds counterintuitive, you should fill the gas tank before you store the boat for the winter. When a gas tank is empty or even partially empty condensation builds inside and causes corrosion or other damage. When you fill the tank, be sure to also add gasoline stabilizer to make sure the gas is good to go when the weather warms and you are ready to boat. In addition to these tips, you should also wash and wax the boat before you store it to make sure you remove any salt or other residue. You may also want to invest in a boat cover. If you have any questions about storing your boat, please give us a call at Cardinal Self Storage. We're happy to help you.